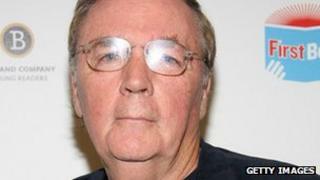 Best-selling American author James Patterson has pledged $1m (£630,000) in a bid to save independent bookshops in the US. Patterson, best known for his Alex Cross series of books, said the money would support bookstores that are "viable" and have a children's section. "We're making this big transition right now to e-books, and that's fine and good and wonderful," he said. "But we're not doing it in an organised, sane, civilized way." Speaking on CBS This Morning about his latest children's book, Treasure Hunters, Patterson said the money could be given to bookshop staff "who haven't had a bonus in seven years. "What's happening right now is a lot of bookstores are disappearing, a lot of libraries are disappearing or they're not being funded. "School libraries are not being funded as well. This is not a good thing," he said. "It used to be you could find books everywhere. You go to Sweden, Sweden has eight million people [and] a book will sell a million copies there," he added. Patterson added parents should do more to encourage their children to read and find new books. "Go to the library, go online, go to your local bookstore," he said. Patterson has sold 280 million books worldwide and has had 57 New York Times best sellers. His latest adventure series follows the Kidd siblings on a mission to find their famous treasure hunting parents after they disappear while on a job.